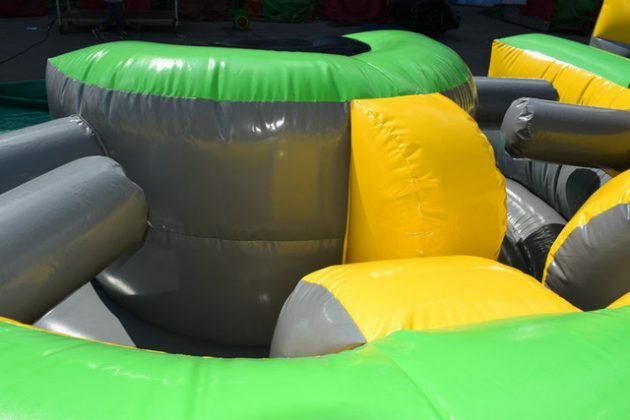 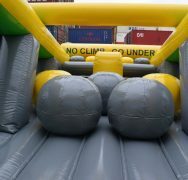 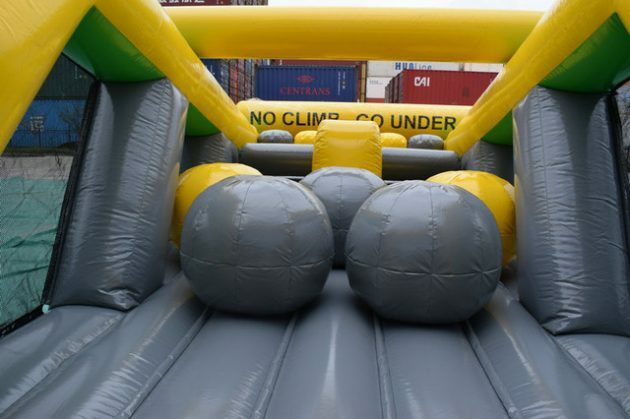 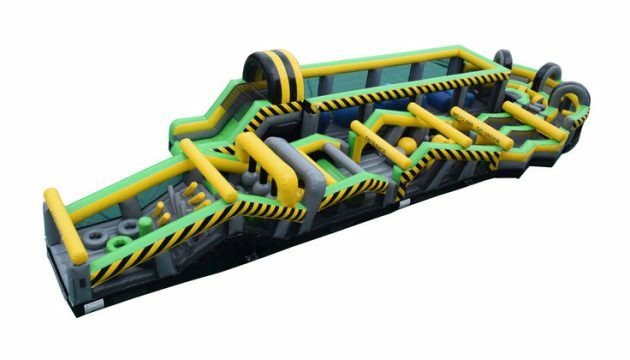 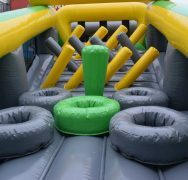 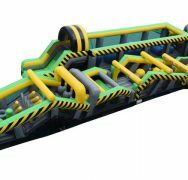 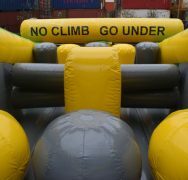 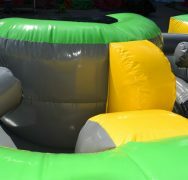 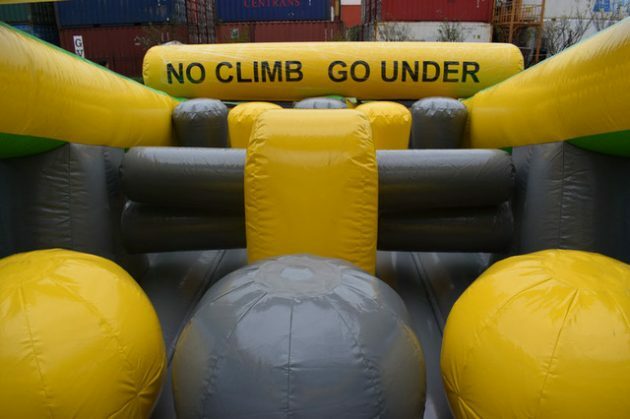 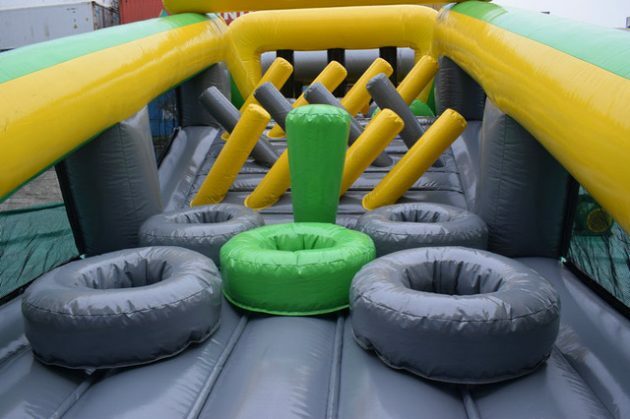 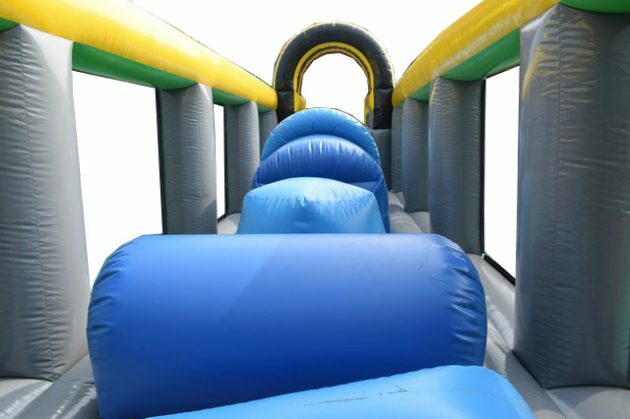 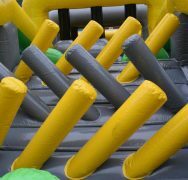 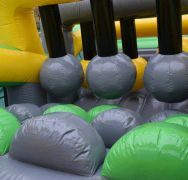 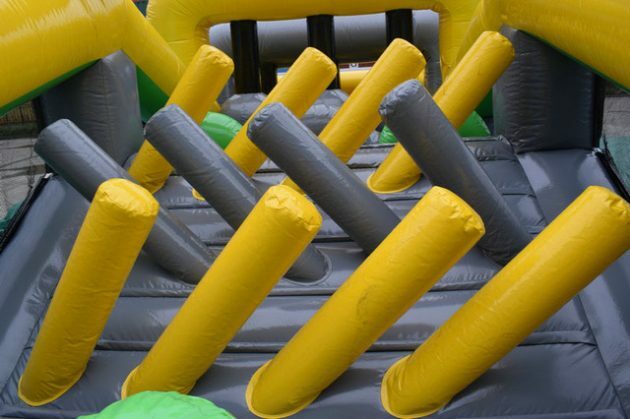 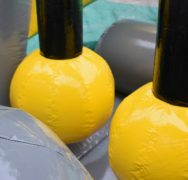 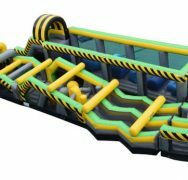 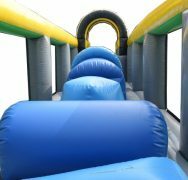 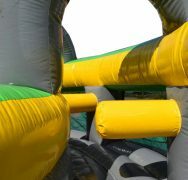 Our longest obstacle course yet with 82 feet of obstacles!! 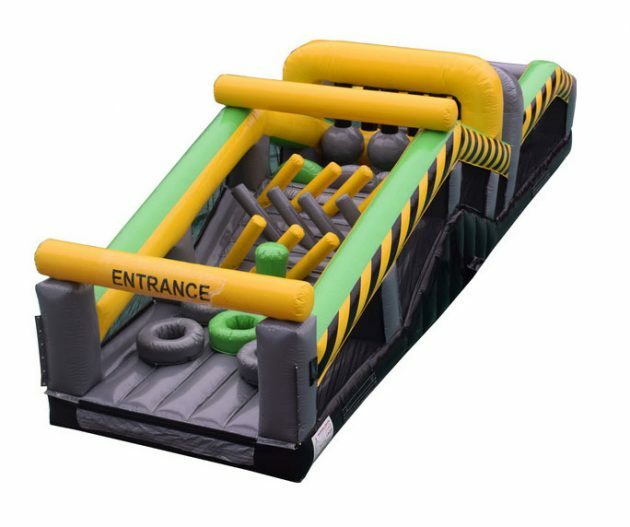 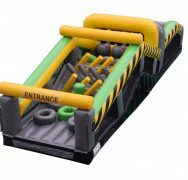 The first set of obstacles are the tire jumps and the “hedgehogs,” columns that lay diagonally. 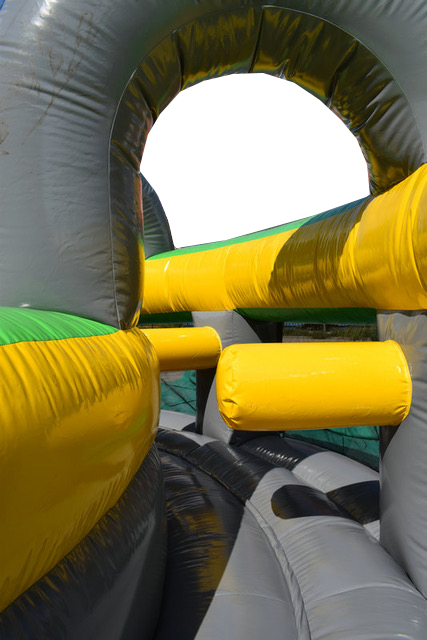 The next area is the zig-zag, followed by the U-turn. 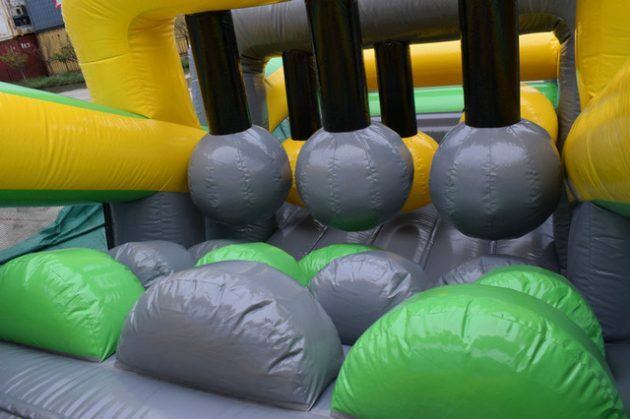 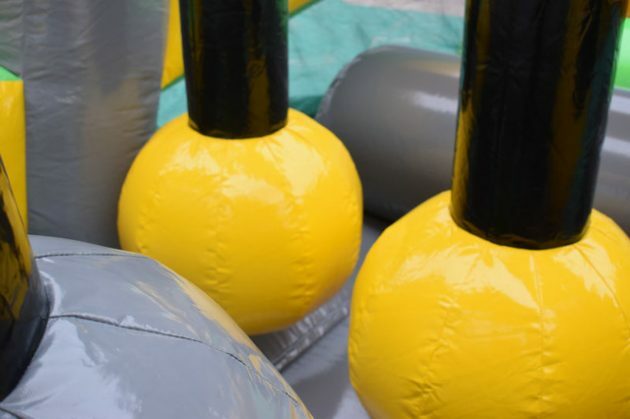 These are obstacles where guests dodge around and jump over items. 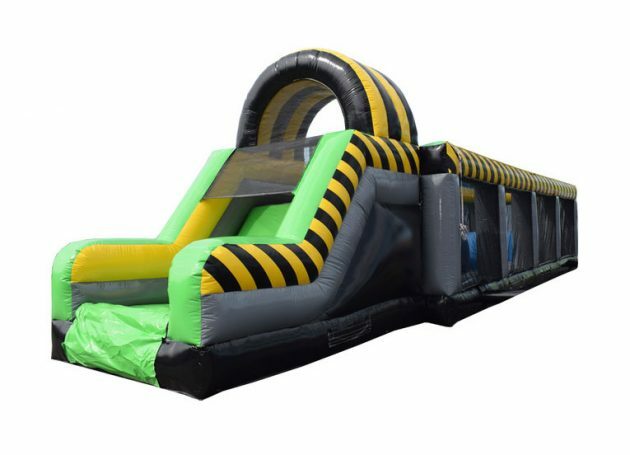 The course ends with a warrior jump. 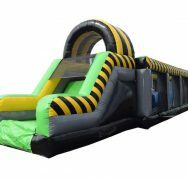 Dimensions: 82’ L x 26’ W x 14’ H.